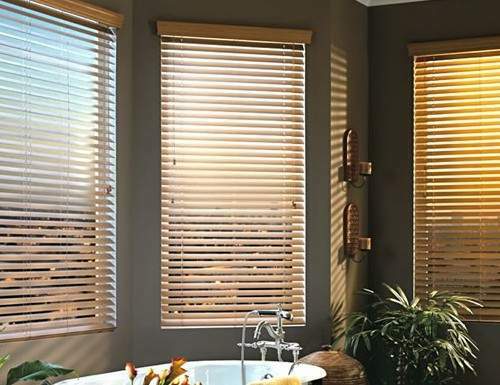 Our Signature 2 1/2 Inch Wood Blinds match our Signature 2 Inch Wood Blinds and come with the highest quality wood slats. These real wooden blinds are stained to give them a rich wood grain look. Compare our free samples to other real wood blinds and see the difference for yourself. W: 12" 13" 14" 15" 16" 17" 18" 19" 20" 21" 22" 23" 24" 25" 26" 27" 28" 29" 30" 31" 32" 33" 34" 35" 36" 37" 38" 39" 40" 41" 42" 43" 44" 45" 46" 47" 48" 49" 50" 51" 52" 53" 54" 55" 56" 57" 58" 59" 60" 61" 62" 63" 64" 65" 66" 67" 68" 69" 70" 71" 72" 73" 74" 75" 76" 77" 78" 79" 80" 81" 82" 83" 84" 85" 86" 87" 88" 89" 90" 91" 92" 93" 94" 95" 96" 0/0"1/8"1/4"3/8"1/2"5/8"3/4"7/8" H: 12" 13" 14" 15" 16" 17" 18" 19" 20" 21" 22" 23" 24" 25" 26" 27" 28" 29" 30" 31" 32" 33" 34" 35" 36" 37" 38" 39" 40" 41" 42" 43" 44" 45" 46" 47" 48" 49" 50" 51" 52" 53" 54" 55" 56" 57" 58" 59" 60" 61" 62" 63" 64" 65" 66" 67" 68" 69" 70" 71" 72" 73" 74" 75" 76" 77" 78" 79" 80" 81" 82" 83" 84" 85" 86" 87" 88" 89" 90" 91" 92" 93" 94" 95" 96" 97" 98" 99" 100" 101" 102" 103" 104" 105" 106" 107" 108" 109" 110" 111" 112" 113" 114" 115" 116" 117" 118" 119" 120" 0/0"1/8"1/4"3/8"1/2"5/8"3/4"7/8"
Your website states that fabric tapes are an option on the 2 1/2 inch wood blinds but I don't see where the ordering choice is. Can you point this out to me? The only 2 1/2" wood blinds that have the decorative tape option is the Platinum wood blinds and the Limited Editions wood blinds. This was our second set of wood blinds. This was our second set of wood blinds. We were so impressed with our first purchase, We knew right away that we would buy from you again. Absolutely love the blinds. The color is exact to the wood trim of the rooms. Meagan was very helpful and quick to respond making it a smooth transaction. Pleasure doing business with and looking forward to buy from again. Very pleased with the 2 1/2" wood blinds, in Dolce color! Very pleased with the 2 1/2" wood blinds, in Dolce color! The color is rich looking with a wood grain. They were half the price than ordering from Home Depot! Have plans to order more for 5 windows in our Den! I love the blinds especially for the price. I love the blinds especially for the price. Many colors to chose from and latte was a perfect match. Looks custom for a fraction of the price. One of the longer width blinds that I ordered had warped looking slats-not that noticeable so I decided to keep it. I would return for another order in the future.